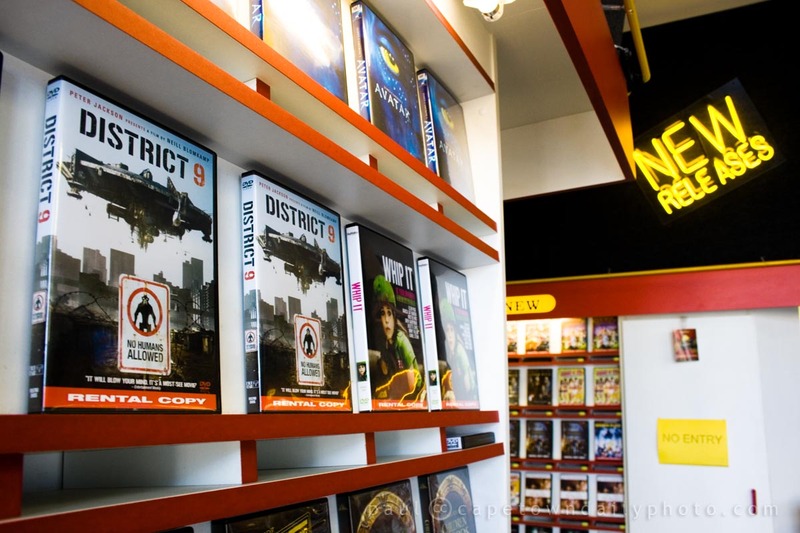 District 9, the movie in this photo, is a South African sci-fi movie and Hollywood blockbuster set in Johannesburg. While the movie is fictional it also represents many aspects of our apartheid era and the recent xenophobic unrest that we experienced about two years ago. I recently spoke with an American who said that she didn't really enjoy the movie. On reflection I mentioned to her that (while it had a solid and serious message) the film was filled with jokes that had me rolling in my seat. The reason why she never found it so was because the jokes are largely cultural and based on events in our history and would thus be difficult for non-South African's to catch. Give it a try though, watch the movie and leave a comment to tell me what you thought about it. Posted in General on Friday, 21 May, 2010 by Paul. Thank you for the daily photos, I look forward to them & pass them on to my Cape Town friend I recently met here of all places. I thought the first half of the film was brilliant – full of cultural nuances, critiques at social norms, as well as being filled with really interesting thoughts about racial (and eventually species?) relations. The second half seemed needlessly filled with massive explosives and over the top action. I felt like it was almost as if two films had been squished in to one. Angie, I think the cat food thing may have been a reference to the fact that prawns, what the humans called the aliens, are bottom-feeders. Also, when europeans landed in Africa they traded substances of little value for things of great value. The aliens never realised that cat food is pet food, and enjoyed it (and got addicted to it) presumably because it was unlike anything they’d ever tasted. The Nigerians traded cheap cat food for valuable weapons. I’m glad that you enjoyed it! I didn’t liked the movie at all. I nearly left before the end. I was thinking to see something totally different, about apartheid. It was also very difficult for me to follow not only the jokes that made Paul rolling in his seat…but all of the conversation. And also too much violence for my taste. Andrew – that’s such a weird thought – a poster of a movie set in Jozi in Moscow. Cristina, you’re right, it was fairly violent… and I guess, if you’re not use to the South African accent it would have been difficult to follow in places. Perhaps you should watch Cry Freedom instead. It’s old now, but perhaps more like what you were looking for. District 9 actually had quite a lot of viral advertising around the world. There were “Humans Only” signs, stickers and billboard throughout world cities. Was pretty cool actually.